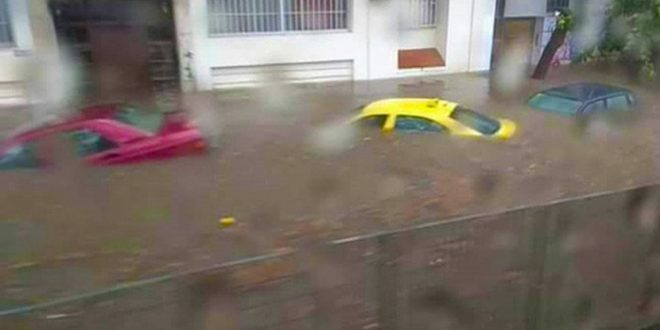 A powerful rainstorm broke out short after 01:30 Sunday afternoon and flooded again the streets in West and North suburbs of Greek capital Athens. Metro stations and were reportedly evacuated and remain closed due to power outages and floods. <Nomismatokopio> was evacuated and closed due to repeated power outages. was evacuated when rainwater was gathered on the passengers’ platforms on both directions. According to latest media information, Metro trains go thought both stations but do not halt. The Fire Service received more than 220 calls to rescue people and pump waters. 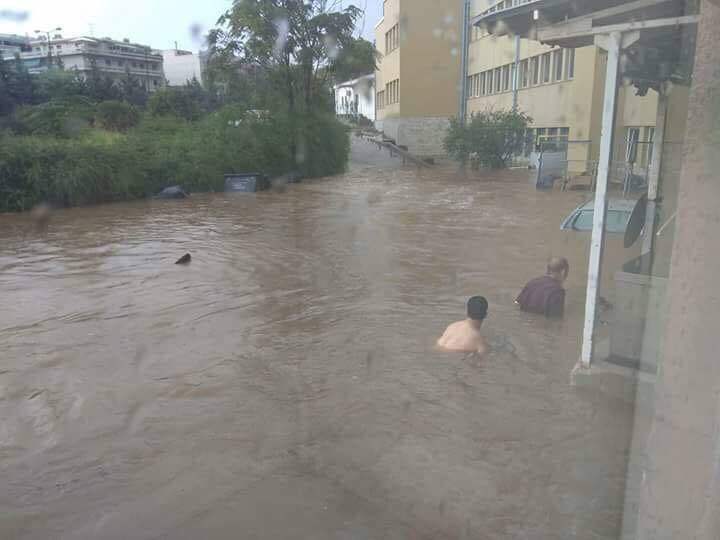 The storm was of short duration, however the water volume was immense and flooded main roads as well as streets, homes and businesses in Maroussi, Kifissia, Halkidona, Perissos, Psychiko, Galatsi, Vyronas, Kolonos and downtown Athens. Power outages occurred in Kamatero, Melissia and Kokkinos Mylos. The problem was quickly fixed and when power returned dozens of alarm systems went on. Motorists were caught by surprise to see their vehicles sinking in streams of rushing waters. 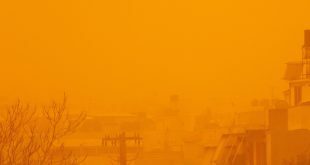 The Civil Protection and the Regional Government issued warnings via social media urging people to avoid unnecessary movements outside their homes. Near the station of Perissos in West Athens. So far there are no report about human injuries or casualties. The day started with a beautiful sunshine and pleasant summer temperatures and many moved to the beaches for a usual Sunday in July. In some areas, sunbathers and swimmers quickly packed their things when the saw the storm coming and quickly also returned to the wet sand when the storm was over. Soon the storm was over and the sun came out again. Some roads remain closed to traffic as the Fire Service still struggles to pump rainwater. Two hours later, it looks as if another storm is brewing in the South-West of Athens and the broader the Attica Prefecture. 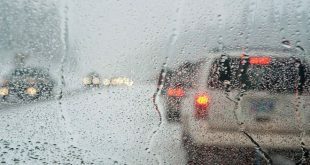 According to latest weather forecast rain- and thunderstorm is expected also later on Sunday. Check weather forecast until July 30th 2018 here. 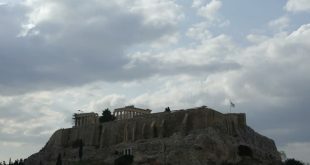 ΒΤW There is also this picture posted by @meteo.gr (which is a serious weather website. The picture is allegedly from outside Sotiria Hospital in North Athens. But as there is a small weird object on the left pretty much looking like a …shark tail I am not sure the picture is not photo-shopped.